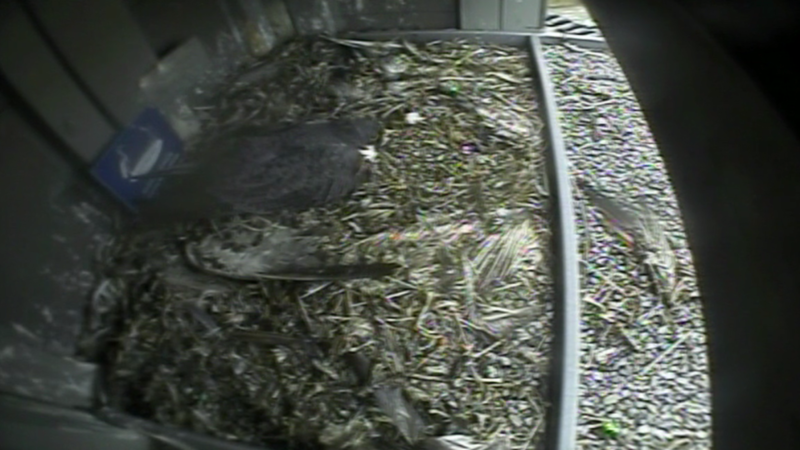 A pair of peregrine falcons has returned to the CTV Kitchener microwave tower to nest and have wasted no time in laying their eggs. 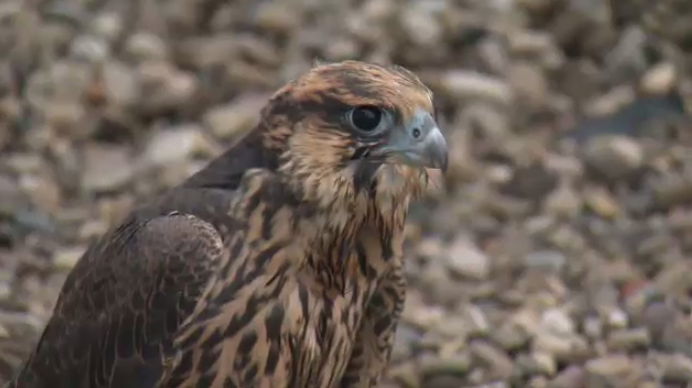 You can watch everything they’re up to live, 24/7 on the Falcon Cam. Disclaimer: This camera features live activities of animals in their natural habitat. Viewer discretion is advised. Last year, Lucifer and Mystery became parents to three chicks, but their nesting wasn’t without its tribulations. Lucifer, the male, suffered a fractured wing part way through the summer, leaving Mystery to feed and protect the chicks herself. He had surgery to repair the fracture and was released back into the wild after months of rehabbing. Less than a week later, he was found dead in west Kitchener. The fledglings also took some time finding their wings. Mercury, one of the new additions to the family, was first to fly but had to execute an emergency landing on nearby Pine Street. It took him some time to regain his confidence, but he was eventually successful. One of his siblings also 'went missing,' but was eventually found hidden in their nest by a group of volunteer falcon watchers. It’s not clear yet whether the falcons in our microwave tower this year are repeat visitors, or new arrivals who have decided to take advantage of the high place to nest. Falcon family feature: where are the chicks? A falcon seen nesting in the microwave tower at CTV Kitchener in 2019.